Here’s a brand new set of Women’s History Month worksheets for March that I am very proud of! They include a short reading assignment about why we celebrate important women in history, a comprehension quiz on the reading material, and 5 excellent essay questions for kids to learn more about the influential women that interest them the most. There’s also a fun women’s history word search with my favorite gal Rosie the Riveter. The topics on the worksheets cover the role of the First Lady, several female ‘firsts’ (like the first woman to go in space, Sally Ride), and the role of the National Organization for Women (NOW). 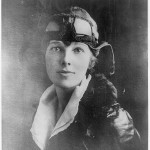 The essay question sheet invites kids to analyze why these women were important in history, and to discuss whether or not they agree with some favorite quotes by Amelia Earhart and Elizabeth Cady Stanton. These worksheets are appropriate for kids in grade 3, grade 4, grade 5 or grade 6. This is a very good site for introducing students or adults to Women in History Month. I think it’s great!